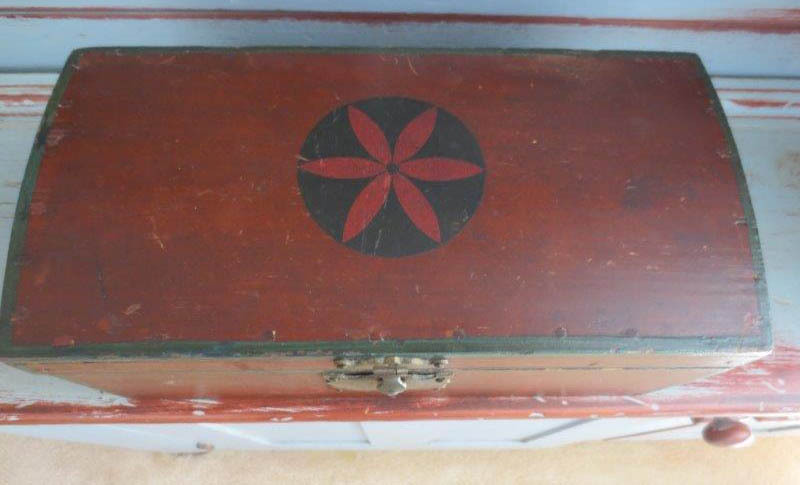 Small paint decorated dome top box with initials. Made ci. 1840-1850. New Hampshire origin. Red and black decoration, with green trim. 10-1/4 L x 5-1/4 D x 4-3/4 H inches.